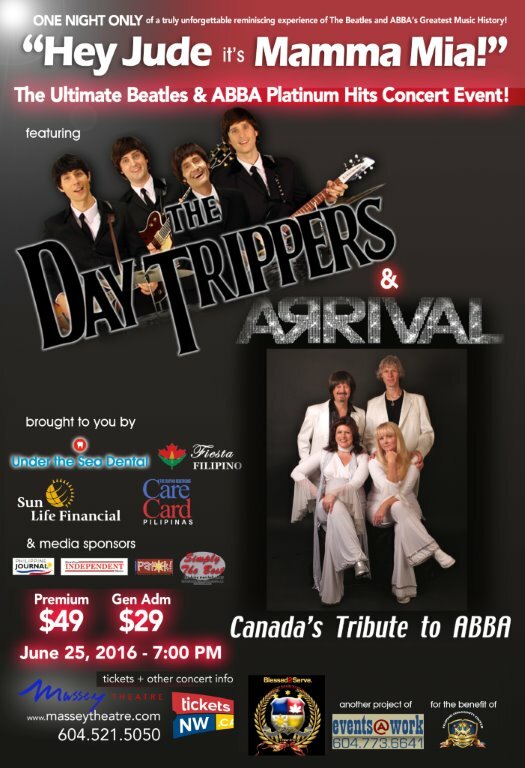 Come enjoy a full evening of fantastic music when The Day Trippers team up with ABBA tribute "Arrival" at the beautiful Massey Theatre (735 Eighth Avenue) in New Westminster on Saturday, June 25, 2016! Arrival will start the show off at 7:00 pm with a set of ABBA hits before The Day Trippers top off the night with your favourite Beatles tunes. This is sure to be an incredible evening of entertainment so we hope to see you there!